SOURCE is movin’ on up, in every way. The organization’s eighth annual awards presentation honoring women in the Nashville music business featured a new venue, more attendees than ever, the announcement of its exhibit at the Nashville Airport, splendid food and an excellent roster of honorees. Beginning with the last, saluted this year were Celia Froehlig, Carol Phillips, Sherytha Scaife, Liz Thiels, Ruth White and Frances Preston. Co-host Jeannie Seely presented Phillips, drawing chuckles when she noted that the honoree had worked for Bob Beckham for 35 years at both Combine and Hori-Pro. Beckham took the stage to say that Phillips and 2006 SOURCE honoree Carolyn Sells, “were probably more responsible for any success Combine had than I ever was. I really love what SOURCE is doing for these ladies. If it wasn’t for these ladies, we wouldn’t have a music business. Co-host Brenda Lee introduced herself to the capacity crowd at the elegantly decorated Noah Liff Opera Center (I just love finding new places to party). “I’m still short,” she said. “I still have big hair. I don’t mind dumb-blonde jokes, because I know I’m not dumb, and I’m certainly not blonde.” She told of Froelig’s journey from Hill & Range to Famous, Chappell, Screen Gems, EMI and Black River Music. “She still loves music and the people who make it,” Lee concluded. Scaife was presented by Seely, who noted the honoree’s involvement in late husband Cecil Scaife’s Music Incorporated, Hall of Fame Studio, Tennessee Music Publishing and other businesses. Scaife was also the first director of the Country Music Hall of Fame. “I’m not much for speeches,” said Scaife, “but I want to thank everyone who helped me.” Her talented children Joe Sciafe and LaRawn Scaife led the cheering section from her table. Lee described Thiels’s progress from Holder & Kennedy to co- founding The Exit/In to Sound Seventy and the Volunteer Jam to creating Network Ink as Nashville’s first full-service music p.r. firm to her current position at the Country Music Hall of Fame & Museum. The last-named’s Kyle Young said, “I hate to think where we’d be without her. She is the consummate professional. Seely presented Ruth White, who has worked in just about every capacity in the biz — publishing, radio, management, retail, record companies. She is even the published author of several music books. The legendary Frances Preston’s five-decade career in the music business was recalled by Lee. Preston had attended the cocktail reception, but is currently weakened by complications following hip surgery and had to leave the gala early. She was there to receive SOURCE’s Jo Walker-Meador Lifetime Achievement Award. That last phrase, in fact, was the title of the gala staged Thursday (8/26). The Opera Center was bedecked in red roses and silver metallic embellishments. Tables were draped in dramatic black and white. The Chef’s Market catering featured tender roast beef with rosemary sprigs, squash, carrots and baked potato carved into mushroom shapes. Ladyfinger desserts were surrounded by raspberry chocolate and berries and topped with raspberry whipped cream and mint leaves. Following dinner and a quite lively cocktail hour, Kay Smith opened the ceremony by recounting SOURCE’s history. The organization was founded in 1991 by Judy Harris, Pat Rolfe and Shelia Shipley-Biddy. It began giving honors out in 2003. 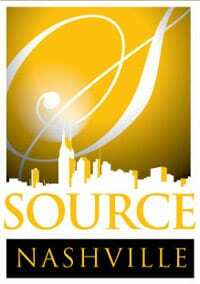 On August 18, a new, museum-quality exhibit featuring 25 of SOURCE’’s 53 honorees to date opened in Concourse C of the Nashville Airport. The display will remain there until July 2011. Music at that reception was provided by Carolyn Martin and her band. Previous honorees in the crowd at either the airport opening and/or the banquet included Patsy Bradley, Rose Drake, Polly Roper Edenton, Pat McCoy, Hope Powell, Jean Stromatt, Hazel Smith, Sandy Neese, Jo Walker-Meador, Cecile Light, Peggy Sherrill, Carolyn Sells, Corky Wilson, Mary Martin and Jan Ray Suk. And with that, we called it a night.